On Saturday evening, I led another workshop as part of my summer bootcamp. 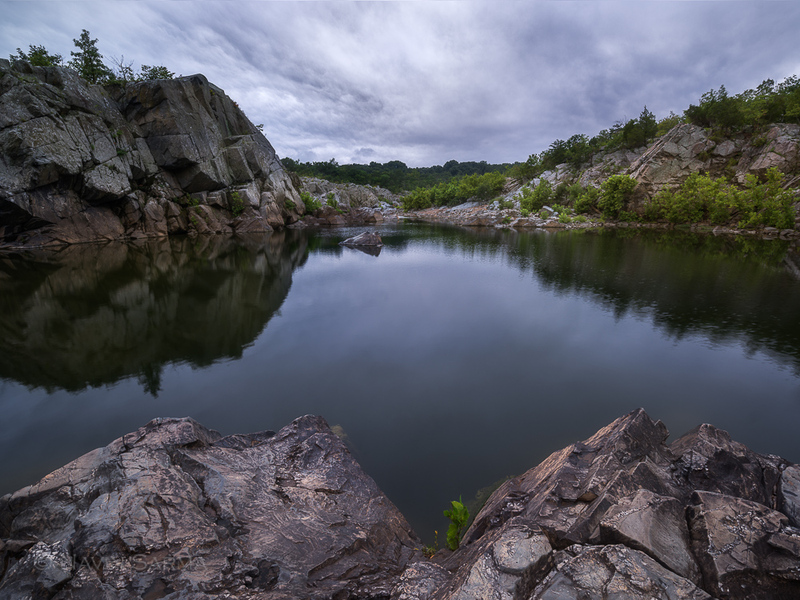 This time, we discussed focus stacking while capturing the sunset in a different section of Great Falls on the Maryland side. I don’t personally use focus stacking too much for landscape photography. But it’s another tool to keep in mind, much like HDR. If you need nothing but the utmost sharpness in your image, perhaps because you are printing very large (over 100 inches), focus stacking can come in handy as you can use the sharpest f stop in your lens at different parts in the frame to obtain an image with amazing clarity. However, you only need this technique when you require significant depth (subjects in the very foreground and very background that just be in focus). Generally, I will stick to one image for focus just to keep my workflow simple. Even when printing in excess of 100″, I find non stacked images to be quite sharp.